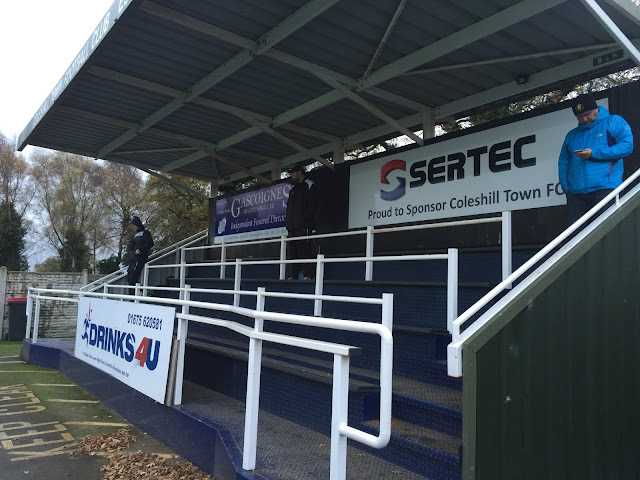 COLESHILL TOWN were established in 1894, but it was not until 1967 that they joined the Midland Combination. Starting in Divison 2 they won promotion in their third season after finishing as runners-up. This earned them promotion to Division 1, later renamed the Premier Division and this is where they have spent the bulk of their time since. Their best finish came in 2008 when they were Champions. Reorganisation has resulted in 2 league switches in recent times. 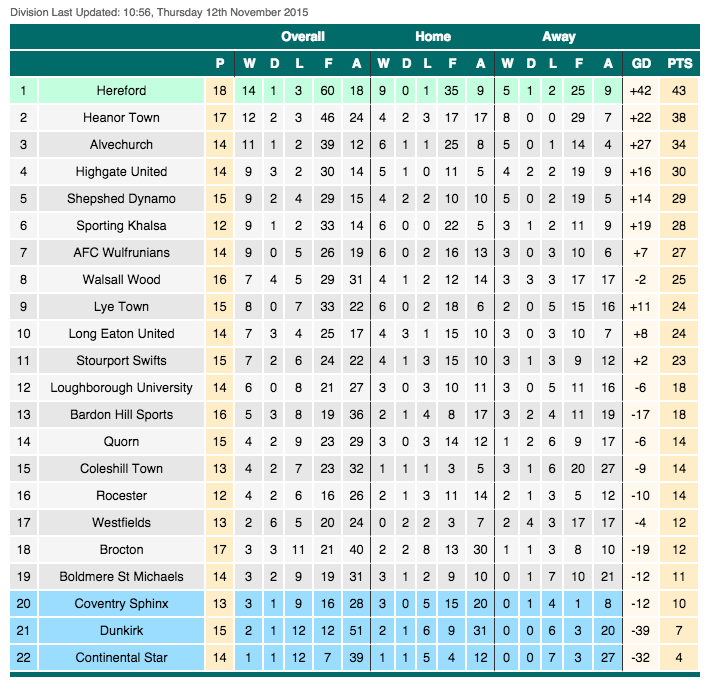 2008-2014 was spent in the Midland Alliance, whilst last season they joined the newly formed Midland League, with an excellent runner-up spot placing in their first season, This term has seen league form tail off, with them sitting in mid-table at the start of the game. The best ever FA Cup run came this season, and I was witness to a couple of games. I was present as they beat Ellesmere Rangers 11-0 in a game played at Tamworth, thanks to them having their pitch relaid. 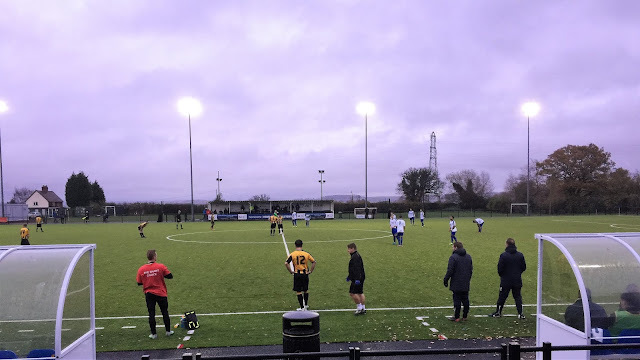 It was home advantage ceded again in the Preliminary Round as they faced NPL D1 South high fliers Stafford Rangers at the club's Marston Road ground. Against all the odds they triumphed 2-1 to record a remarkable victory. Another 'home; game followed, again against higher league Newcastle Town which they drew 3-3. Newcastle were strong favourites in the replay that I went to see, but Coleshill turned the tables again winning 3-1 with a great performance. In the 2nd Qualifying Round, they beat NPL Premier side Stamford 2-0 and it seemed as if nothing could stop them. However, in the 3rd Qualifying Round, they finally met their match, being well beaten by AFC Fylde 9-0. 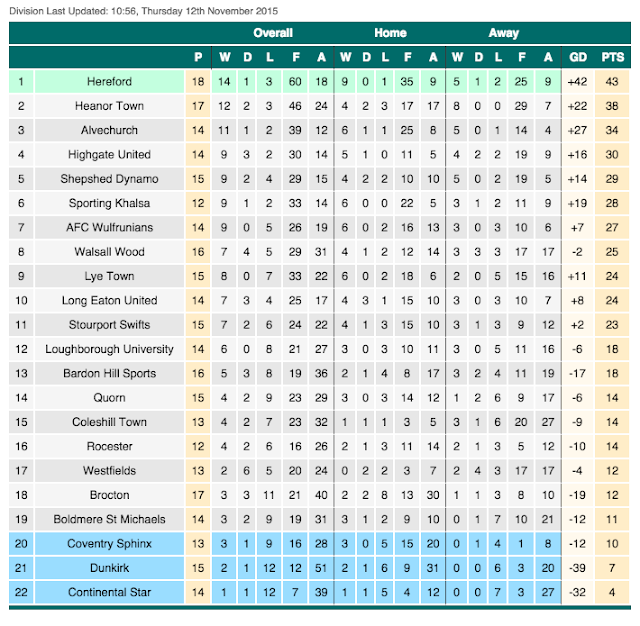 Last season saw their best ever run in the FA Vase as they reached the 4th Round before losing to Dunston UTS. I'd not been planning to do a groundhop on this day, as Wycombe were scheduled to be at home to Notts County and having a season ticket there was little chance of me missing it. But a couple of weeks before it was called off due to Notts County having 3 international players called up for weekends pointless friendly games. 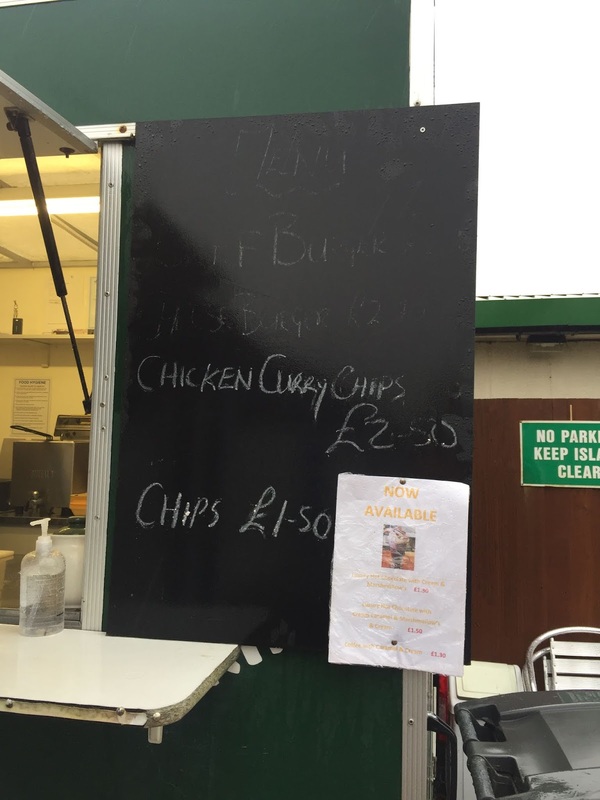 You'd have scarcely believed it given Notts' pathetic surrender to Salford City the following Friday. Still, never one to miss an opportunity I asked fellow hopper Anwar if he fancied doing anything long distance that weekend. He selected Blackpool, which was excellent for me. Nearby Conference North outfit AFC Fylde were one of 2 sides in that particular league that I had yet to see a game at. They would also be leaving the ground soon, so time was of the essence unless I wanted to miss out. Well, that was the plan until around Thursday, when the previous alerts for rain got worse and worse. There were forecasts of up to 8 inches of rain, plus other stuff that could put games at risk. With the rest of the country not looking much better, we decided to play it safe and head over to Coleshill Town, who had recently had a 3G pitch installed. 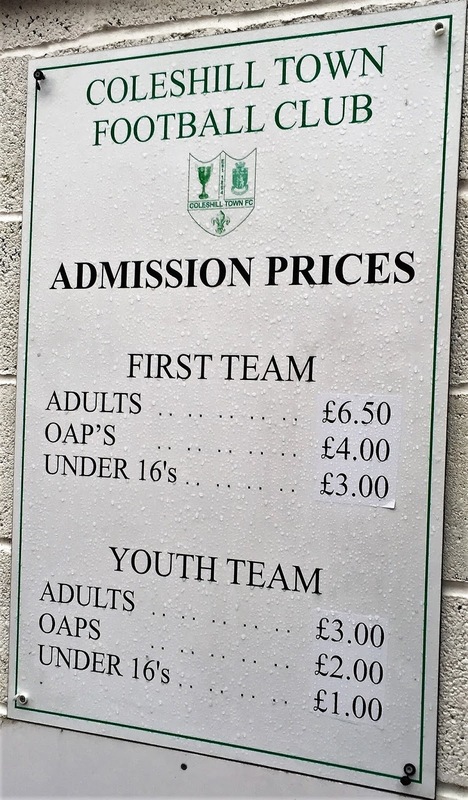 There might be a slight deviation in the plan should the rain ease up, but opponents Rocester were a side I had seen earlier this season and who had played well. On the Friday night before the game, Wycombe had organised a friendly at home to Leeds. It was only £10 entry for season ticket holders so with nothing else planned for the night I decided to go along. A Wycombe side 6 players short of full strength gave a good account of themselves against a strong Leeds side, but ultimately went down 2-0, and it could have been more had it not been for reserve keeper Alex Lynch, who put in an excellent display. The Leeds fans seemed obsessed with Garry Thompson, our former Bradford player, perhaps it's an indication of how far they have fallen if they consider them to be serious rivals. In general, though they were friendly enough and sang all even with a lot of the chants being very humorous. It had been a positive showing from Wycombe, and it had meant that I'd not had the misfortune to watch the England match, with the Three Lions going down 2-0 in Spain. That's really what should have been dominating my news feeds when I got home, but more sinister events took over. People pretending to be Muslims had gone on the rampage near the Stade De France in Paris, shooting dead multiple innocent victims. There had been a lockdown at the stadium with teams and fans having to wait inside until the situation was resolved, but it's totally sickening that people can use religion (which after all is fictional, and a 'story' that religious types use to find comfort in their lives) as a means for violence and their own twisted agenda. I'd been planning a European trip of my own, to Frankfurt, having wanted to go for a long time. So on the Friday afternoon, after getting the week off work that I wanted, I took the plunge and booked flights and a hotel. The flights were super cheap, but typical of Ryanair the Hahn Airport is around 2 hours from Frankfurt. It also allowed me to grab myself a mid-range hotel, rather than a cheapo. I don't mind slumming it in the UK where I can speak the lingo and get things remedied if needed, but overseas I'd rather pay that bit more. Hopefully everything is in place for a nice weekend of football and Appelfwein (German Cider) but to be honest I didn't do much research before I booked everything up, which is most unlike me. On the day of the game I woke at 6am, so was disappointed not to get a lie in on my day off. I caught up with my Youtube subscriptions before getting out of bed and making a start on this blog, something that I hadn't been too keen to do, given my aborted AFC Fylde one that I spent a fair while on. I was a bit short of time after all that, so left in a rush, just after 10. Meeting Anwar in Aylesbury at 10.30, we made a quick getaway as he was there waiting for me. The trip up to Tamworth went smoothly, with just a 5 minute delay on the M42. We had chosen Tamworth after being impressed by it back in August when we saw Coleshill Town smash Ellesmere Rangers in a match played at Tamworth FC's Lamb ground. I picked up a few bits, including cakes off of the market and for lunch a couple of Mexican chicken slices from Pound Bakery. I also made a return to the excellent micro pub called The Kings Ditch that I had visited there back in August and had been impressed by their range of cider which totalled 16 in all. There I bought myself 2 pints of Equinox which was made by Mr Whiteheads in Hampshire. They had run out of clips for the top of the carton though, so I had to gingerly walk around town holding it closed until I got some bulldog clips from Poundland. This was easier said than done as the weather had taken a turn for the worse with the rain coming down quite heavily, which put a dampener on the trip and meant that we couldn't enjoy it as much as we liked. We decided to head off to the ground, leaving Tamworth at 1.45 and getting to Coleshill Town at 2.15. After parking up, we paid £6.50 to get in, plus £1.50 for a programme. 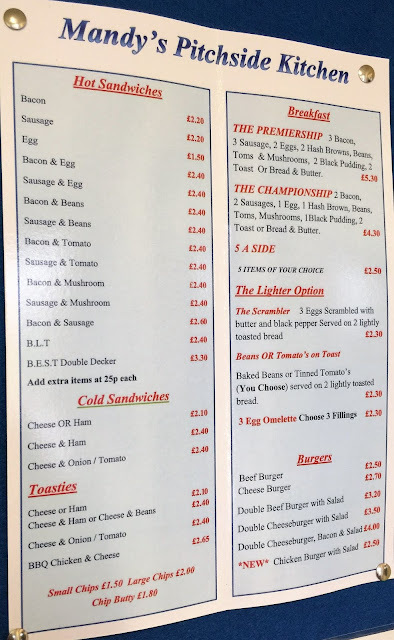 As it was still raining we headed to the bar where I had a pint of Thatchers Gold for £3.50 whilst watching the end of the Rochdale v Wigan Athletic game on Sky. I was beginning to think I'd made the correct choice using a 3G pitch, given the weather. But in all reality, all the weather scares had turned out to be a load of balderdash and even my intended game at AFC Fylde went ahead. I'd enjoyed my day so far which was the main thing though. After supping up we went outside and took some pictures of the ground, before taking a seat in one of the 2 stands while we waited for kick off. I killed the time by catching up online. The 2 sides were in very similar positions at the start of the game, both in mid-table. It was actually the visitors that were the better side early on. However, it was Coleshill that took the lead after 5 minutes. A cross was put in, was not cleared properly and Reece Leek finished from close range. 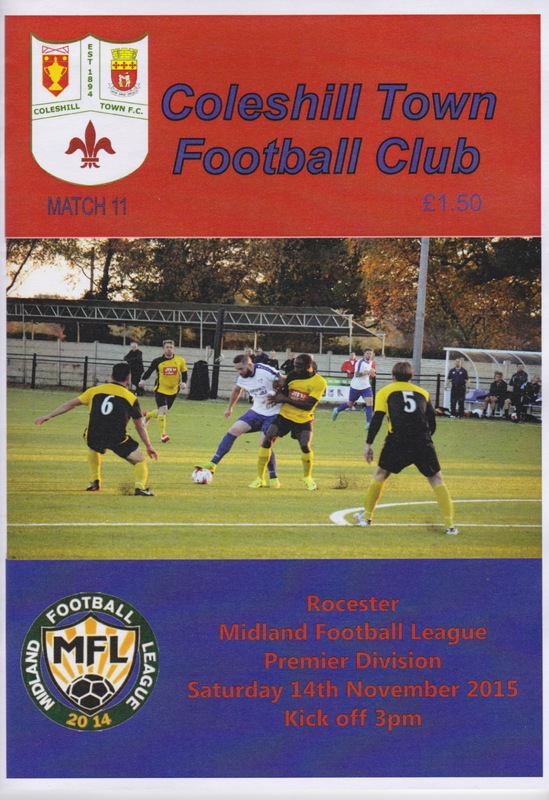 The game was delayed for nearly 10 minutes thanks to an injury to a Rocester player. It looked really bad at first, but thankfully he emerged in the stand for the second half, albeit with an ankle support. This didn't stop Coleshill who were now bossing the game and it was Reece Leek finished an excellent through ball to double the lead. It was coming as minutes earlier, Luke Barlone, who had scored 4 goals when I'd seen them thrash Ellesmere, hit the bar. The Rocester glovesman made a great save to keep his team in the game but it was all to no avail as the impressive Barlone finally got on the scoresheet with a low finish. It was all over bar the shouting just before halftime as Coleshill made it 4-0. The second half was not as good but Rocester had slightly the better of the limited chances. They got their reward with a consolation but the hosts were clear winners. In the 3 times I have seen them play this season, they have notched 3 wins, scoring 18 goals and conceding just 2. Sadly even with that form, they are still only mid-table in what looks a very strong Midland League, with Hereford well clear at the top. 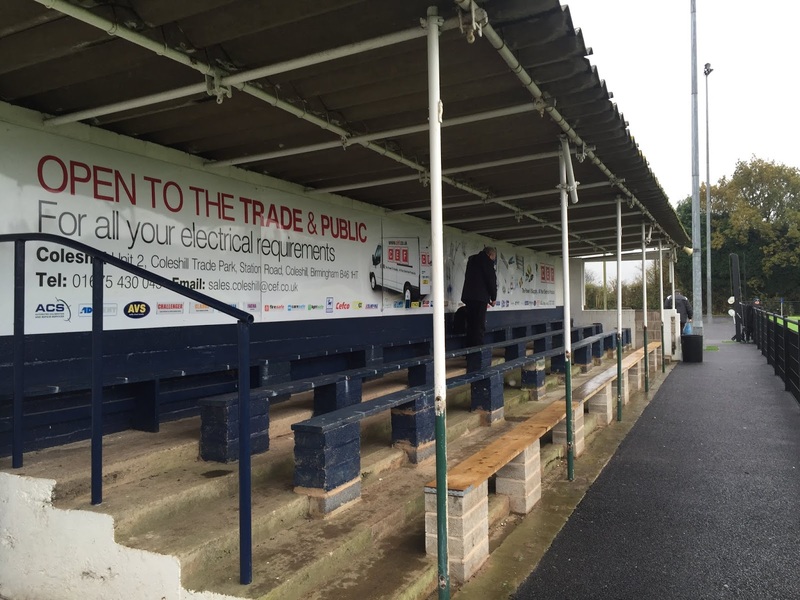 On the way home, we listened to BBC Radio Shropshire who devoted almost their whole show to AFC Telford United. The mood was very downbeat however as they were struggling at the bottom of the Conference North and had been hammered 5-1 at home to league leaders Nuneaton Town. As we neared home I put the Two Mikes podcast on, which helped the journey go a lot quicker. I dropped Anwar off at 6.30, getting home just before 7. I spent the evening typing my blog and watching TV while enjoying the cider I had bought earlier. As there was no Match Of The Day, thanks to the international football I got to sleep at 11PM. PACK MEADOW is a decent ground, probably good enough for step 4 football. There is a seated stand on both sides, between them holding around 200. There is also an area of covered standing with an interesting sloped roof which holds around another 100 under cover, whilst the rest of the ground is open. There are decent bar and tea bar facilities which is good as the town is a fair walk away from that I could see.